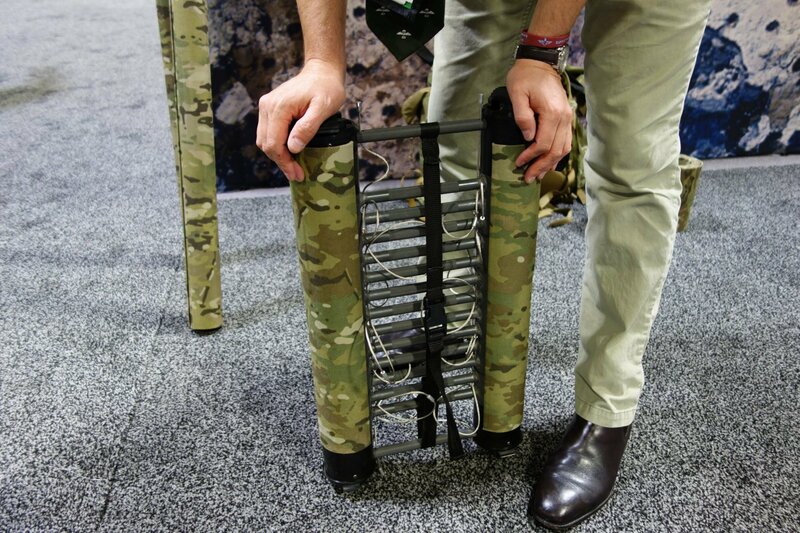 Rolatube Technology Extendable/Collapsible Lightweight Tubular Tactical Ladder and Tactical Antenna Mast for Military Special Operations Forces (SOF) Combat Missions and Maritime Ops (Video!) | DefenseReview.com (DR): An online tactical technology and military defense technology magazine with particular focus on the latest and greatest tactical firearms news (tactical gun news), tactical gear news and tactical shooting news. 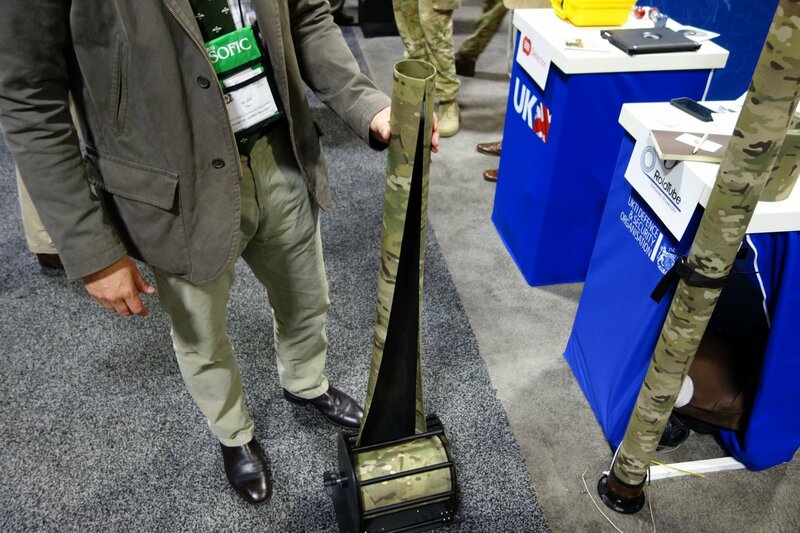 DefenseReview (DR) came across a seamingly revolutionary and rather amazing "extending technology" developed in the UK (United Kingdom) called Rolatube at the tail end of the 2013 NDIA Special Operations Forces Industry Conference (NDIA SOFIC 2013) that really blew us away. 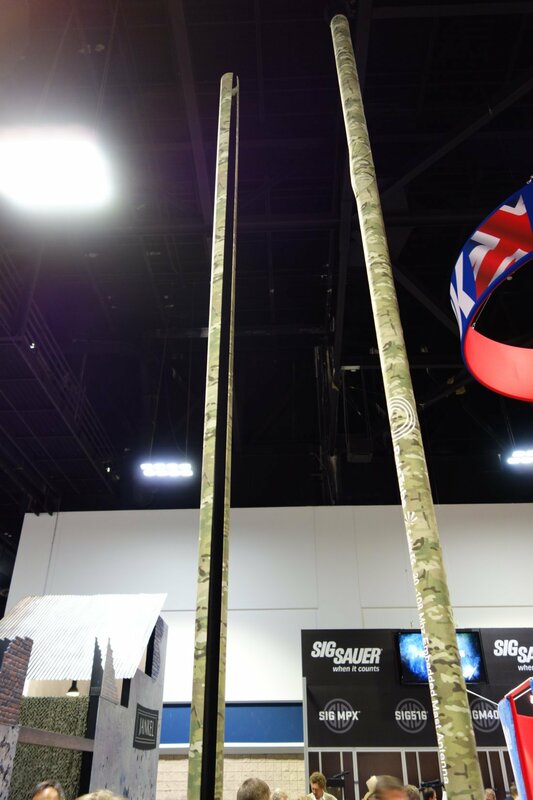 Rolatube is essentially a rollout/rollup structural fabric made with fiberglass that instantly forms into a tube of a specific thickness and any required length. The tube's thickness is determined by the width of the rollout fabric, while its length is determined by the length of fabric you roll out from the fabric roller. Once your roll the material out and form the tube, it's very strong, structurally. Will Pike of Rolatube Technology gave DR a nice demo and explanation of the tech that you can see in the embedded video below. We HIGHLY recommend you watch it since it's really cool. 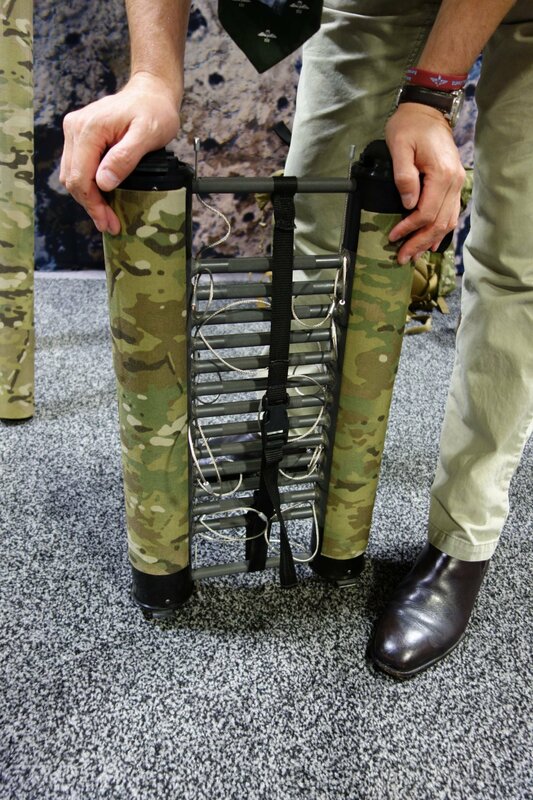 The Rolatube lightweight tactical ladder PIke showed us looked pretty awesome. 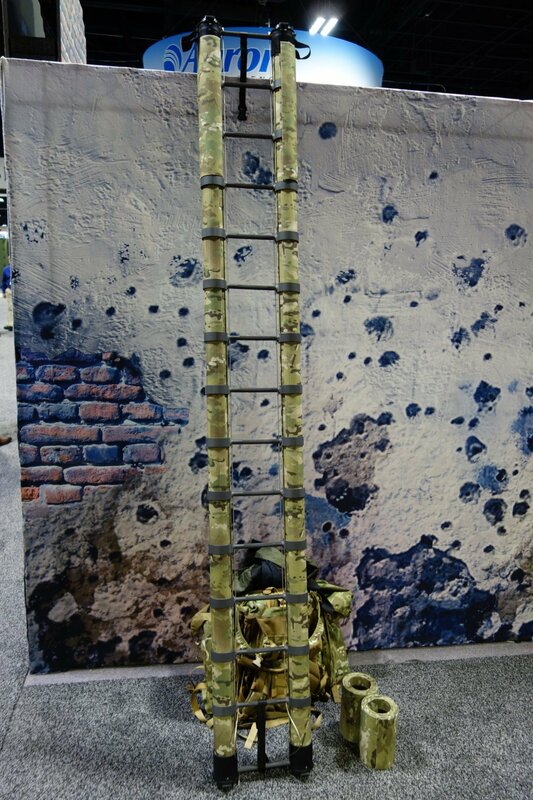 Once the ladder is collapsed and rolled up, it all fits inside a convenient combat rucksack/backpack. It's a pretty slick setup. 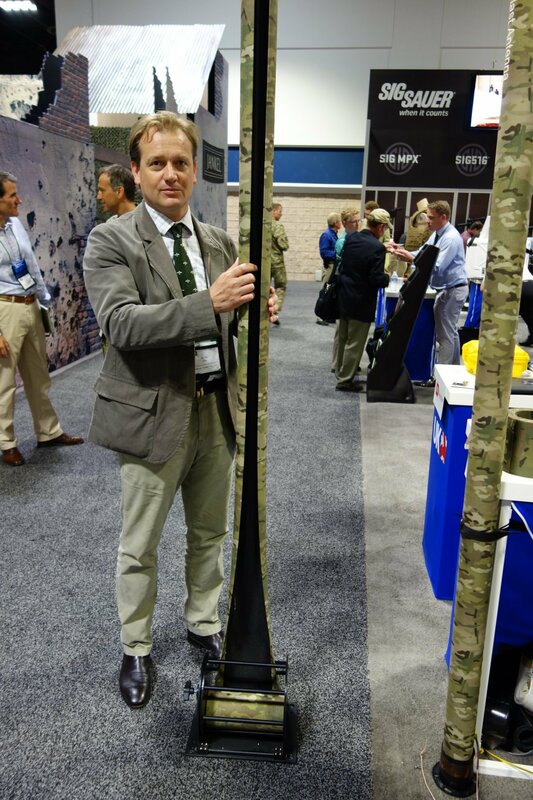 But what really amazed Defense Review was how fast the technology can be deployed to create very strong structural tubes of pretty much any desired length, even for tactical antenna masts. You have to see it in action to truly appreciate it. How the British came up with it instead of us is anyone's guess. A little joke. But serously, it's hard to imagine the U.S. military, and specifically U.S. military Special Operations Forces (SOF) won't be interested in it. It's just too cool and utilitarian. If there's an equivalent American-made product, DR hasn't seen it. We'll try to find out if Rolatube Technology either is currently or will be working with a U.S. company to manufacture the product domestically in the U.S. Previous: Strike Industries AK TRAX-1/TRAX-2 KeyMod Modular Rail System/Tactical Handguard for Kalashnikov AKM Rifle/Carbine!